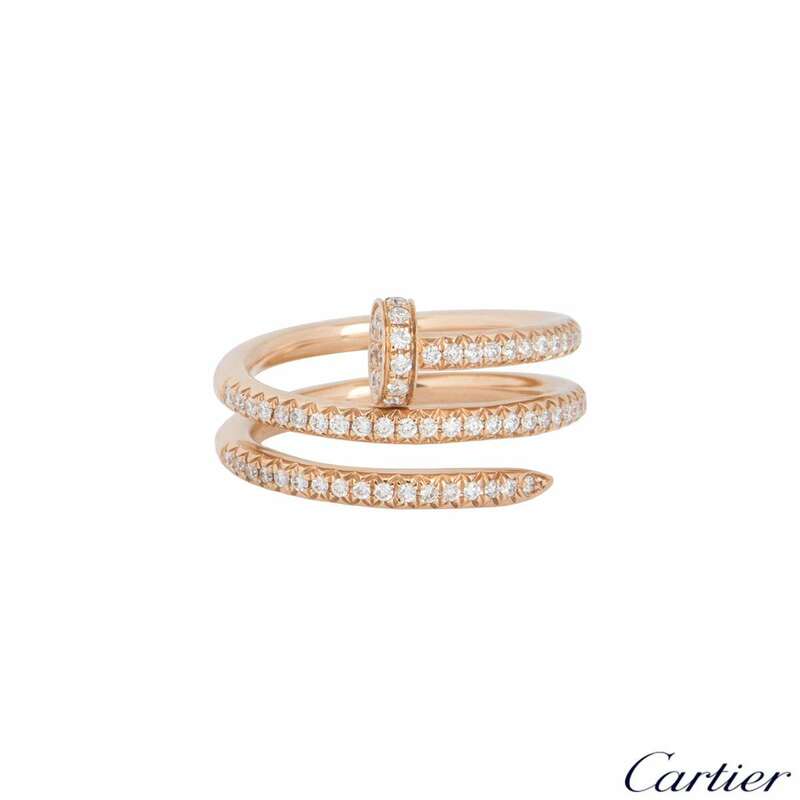 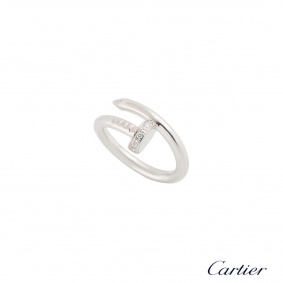 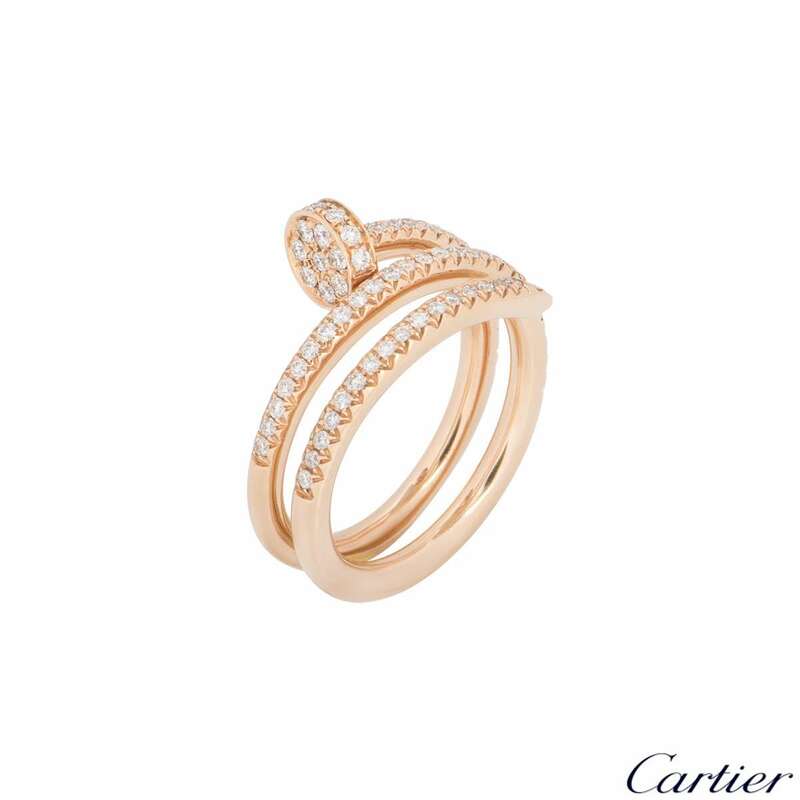 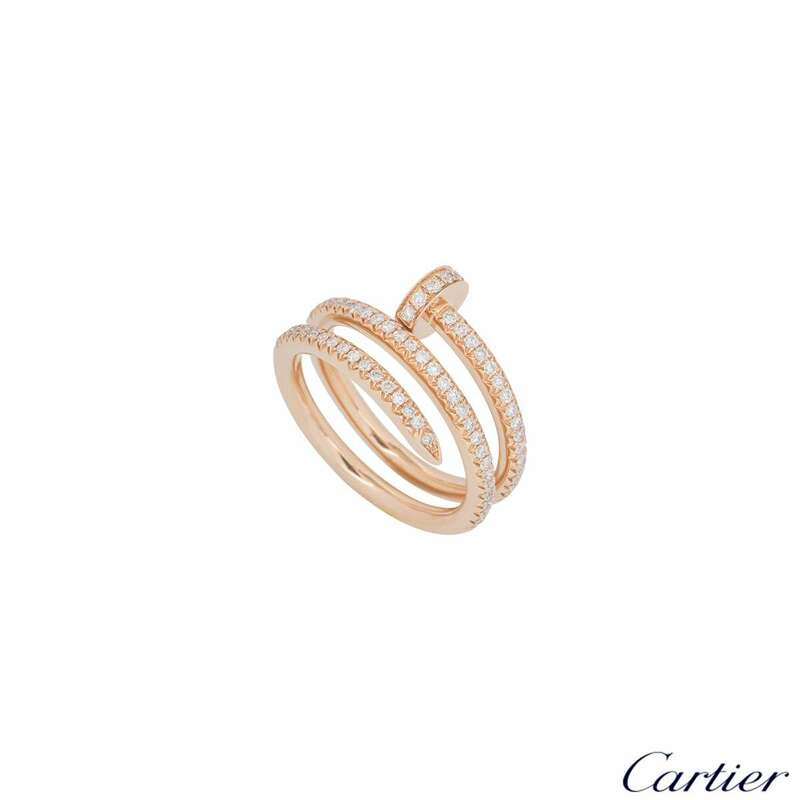 A stylish unworn 18k rose gold Cartier diamond ring from the Juste Un Clou collection. 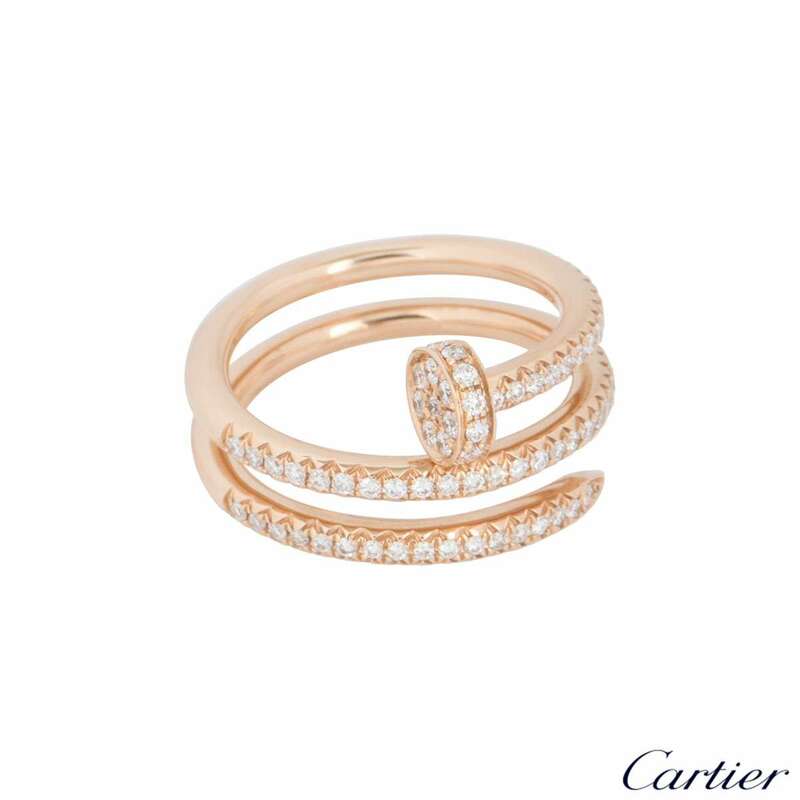 The ring is in the style of a nail wrapping around the finger and has 77 round brilliant cut diamonds pave set with a total weight of 0.59ct. 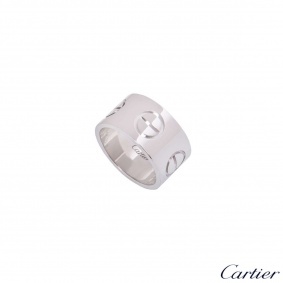 The ring is size 52 and has a gross weight of 6.60 grams. 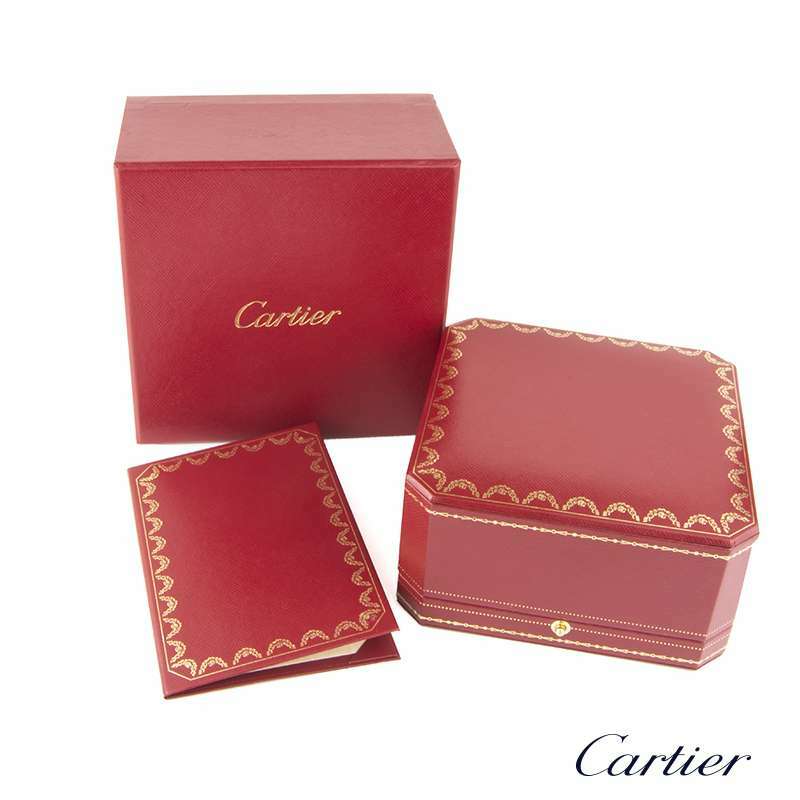 The ring comes complete with a Cartier presentation box and Cartier papers dated September 2018.